Concerns about Iran upping the nuclear ante were voiced at the recent IAEA meeting. Coming close on the heels of the report about an explosion in Saudi Arabia that allegedly damaged oil pipelines in Awwamiya, this development has impacted oil prices significantly. Although U.S. President Obama was quick to broadcast his support for Israel and against Iran, the markets are still reacting to news about a possible war that would result in serious disruption to oil supplies. Binary traders who have bet on the price of this commodity need to factor in current happenings to make the right decisions about staying in the trade or pulling out. The previous report about the Awwamiya oil pipeline being damaged was quickly denied by Saudi government officials, but not before it sparked off volatility in the price of oil. Soon after the report was aired by a state run news channel in Iran, oil price per barrel zoomed to over $110 for the very first time since May. Political tensions in this region of the world did not help matters along. Nor did U.S.’s hard stance against what Washington chose to construe as Iran’s war mongering. The White House had taken pains to reiterate that it would oppose military endeavours by Iran at all costs in this part of the world. This was back when the news of the Saudi explosion rocked the markets. 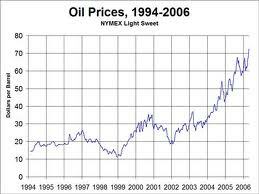 Fear of an impending war added impetus to prices of this highly volatile commodity. Now, with U.S. speaking for Israel and against Iran once again in the IAEA, the tension is bound to only escalate. The recent U.S. reiteration comes after International Atomic Energy Head, Yukiya Amano brought the spotlight to indications of military style activities at Parchin, an Iranian military site. Visits to Tehran in the initial months of the year, by IAEA officials failed to confirm or refute the supposed military activities since they were denied access. Intelligence reports indicate that a large containment chamber has been built at Parchin. Iran has also tripled its refined uranium production per month. Given this alarming information, fears of war initiated by Iran have gained intensity leading to speculation about how badly oil supplies will be hit if military manoeuvres do begin in these regions. Oil prices are bound to be impacted in coming weeks too until some clarity is gained on the issue.